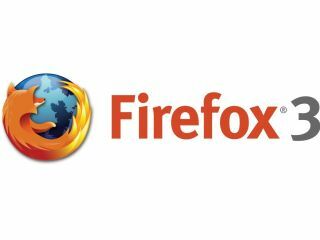 Firefox maker Mozilla has responded to the news that Windows 7 will ship without a browser in Europe – insisting that Microsoft should come clean over what incentives it will offer to OEMs to bundle Internet Explorer anyway. Microsoft's response to the EC investigation into its bundling of IE with Windows has led to it stating it will release the European version of its latest operating system without any browsers pre-installed. In a memo to original equipment manufacturer (OEM) partners, Microsoft suggests that it is they that must choose what software to bundle; but Firefox says that this merely deflects the blame, and could merely 'change the technical installation process of the OEMs and make life more difficult for people upgrading to Windows 7'. A statement from Mozilla CEO John Lilly says: "It's impossible to evaluate what this means unless and until Microsoft describes, completely and with specificity, all the incentives and disincentives applicable to Windows OEMs. "Without this it's impossible to tell if Microsoft is giving something with one hand and taking it away with the other, and more to the point, it's impossible to tell whether this does anything more than change the technical installation process of the OEMs and make life more difficult for people upgrading to Windows 7." Lilly's point is a good one – reiterating what Opera CEO Jon von Tetzchner told TechRadar earlier in the week. Meanwhile, the European Union – who are investigating Microsoft's bundling – has insisted that they were not pushing for no browser from Microsoft – merely a range of choices.